It’s impossible to say how many hundreds – if not thousands – of lecturers the RSGS has welcomed through its doors over its 130-year history. Each one had their own story of adventure to tell, and they delivered it in their own unique fashion. As I was turning the pages of old newspaper reports, I was struck by some contrasts, and I thought I would share some of them here. One thing is for sure – RSGS audiences never knew what to expect! The process by which the skulls were reduced was, according to Mitchell Hedges, “a scientific marvel”. He did not, unfortunately, elaborate further on this process, but “it was seen that the hair was reduced in the same proportion as the features.” Just when it was getting interesting, the report in The Scotsman concludes that “a cordial vote of thanks was given to the lecturer, on the call of the Chairman.” Mr Mitchell-Hedges, please bring back your skulls! Linked with Mitchell-Hedges’ name, and giving credence to the story that the character of Indiana Jones was inspired by his life, is a crystal skull which he said he had been given in Central America, and which he called the ‘skull of doom’. No one knows for sure where the idea for Indiana Jones came from, but Mitchell-Hedges sounds like a likely candidate. When Captain Robert Falcon Scott returned from his first Antarctic expedition on board the Discovery, he found himself much in demand as a public speaker. Scott was not, if the truth be told, a natural talker, and he was ill at ease in the limelight; but he was also a naval officer, so duty came before comfort. At the Synod Hall in Edinburgh, on 11th November 1904, Scott was welcomed by a packed audience that included Sir Clements Markham, President of the Royal Geographical Society in London; the Earl of Camperdown, Lord Playfair, Lord Trayner, and many distinguished academics. After being presented with the Livingstone Medal, for which he expressed a great sense of honour, he embarked on his lecture. The Scotsman newspaper observed that, although Scott’s achievements in the Antarctic were widely known, he was a novice at public speaking. Despite his lack of experience, he had that essential ingredient – a good story to tell – and the only difficulty lay in compressing three years’ work into a single address. The result was a lecture that lasted nearly two hours, and there were some members of the audience who “had to leave to catch trains, and thus could not hear the whole of it.” Those who made an early departure would have missed the astounding lantern views that were displayed at the end, depicting ice-barriers and glaciers, and the crew of the Discovery going about their daily duties. They would also have missed the glowing vote of thanks that was accorded the lecturer, and Captain Scott’s humble response. 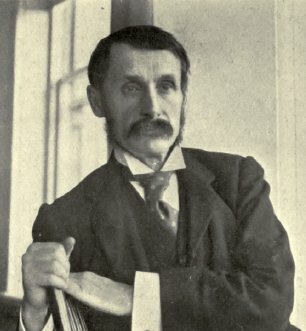 Scott’s presence at the RSGS was greatly enjoyed, and before he departed on the Terra Nova expedition in 1910 the Society’s Honorary Secretary, John George Bartholomew, pressed him to agree to another appearance on his return: a promise which, tragically, he would never fulfil. Before the lecture commenced, Younghusband’s accomplishments as an explorer were acknowledged by the Chairman, Mr I J Weinberg, who remarked that “he was the first and only man who had travelled from Pekin, China, by way of the Himalaya Mountains to India…” Ambitious and intensely patriotic, Younghusband was also a key player in the Great Game, a large-scale manoeuvring of political power involving the crafty pushing of boundaries between Russia, British India, and the unfortunate countries that lay between them. Why was he in such haste to depart? The newspapers could only speculate, suggesting vaguely that “it is surmised that the sudden summons has reference to the Eastern difficulties.” But the excellent biography of Younghusband by Patrick French reveals that he had just been appointed Special Correspondent for The Times newspaper and was about to be sent to South Africa on a political mission. His stay there did not last long, and he soon returned to the mountains of Central Asia which eventually inspired his own unique brand of spiritual fanaticism. The stiff-lipped military man who led the punitive Tibet Expedition in 1904 would later be propounding the mystical qualities of extra-terrestrial beings. 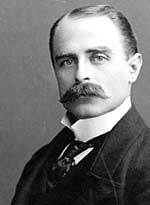 Among all the explorers I’ve encountered so far, Sir Francis Younghusband is a special enigma. Many lecturers suffer from stage fright to some degree, but on 24th October 1934 the Society welcomed one very distinguished guest who was probably more anxious than most: His Royal Highness the Duke of York, who would later become George VI. That year the RSGS was celebrating its Golden Jubilee, and as a great honour both the Duke and Duchess of York travelled to Edinburgh to attend a special award ceremony and a banquet. The Duke, representing his father, George V, who was Patron of the Society, presented the Society’s medals for that year to Isobel Wylie Hutchison and Lord Meston of Agra; and in the evening, splendidly clad in full Highland dress, he stood up to address a glittering company of 350 guests in the North British Station Hotel. The visit by the Duke and Duchess of York was a memorable occasion for the RSGS, but it had an extra significance which I believe has been forgotten until just recently: the Duke’s address was broadcast live on Scottish radio. For this reason the RSGS can claim to have hosted the first ever ‘King’s speech’ – admittedly before he was actually King, because it was nearly two years before Edward VIII’s abdication forced his accession to the throne. The photographs of the royal visit are charming: before the banquet the Duke stands rather self-consciously, flanked by equally sober-looking dignitaries, while earlier in the day the Duchess is seen smiling radiantly at her husband as she clutches an enormous bouquet of flowers. 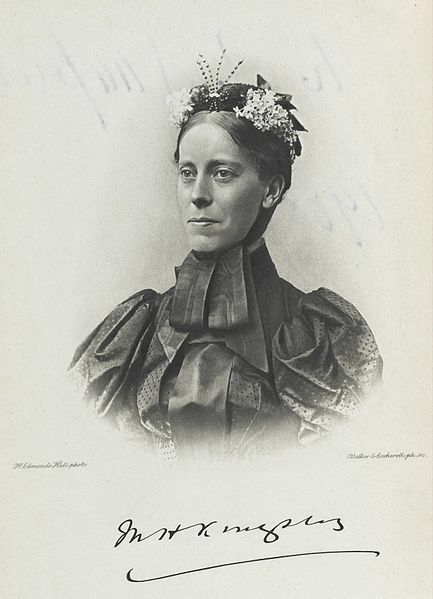 The Fan tribe of the Congo Française, Mary Kingsley assured her Glasgow audience in 1896, were cannibalistic, but their motives were not at all superstitious. Rather, she implied, they just liked the taste. It’s impossible to know whether Mary’s listeners were comforted by this revelation. The evening must have been quite an extraordinary one. Here was a primly dressed, diminutive young lady, looking more like a schoolteacher than an African adventurer, declining out of modesty to read her own paper to the RSGS and requesting instead that it be read for her by the presiding Chairman. Yet this same bashful woman had just spent many months hacking and squelching her way through the swamps of equatorial Africa, depending entirely on local people to guide her and carry her baggage, charming a deep respect out of suspicious tribal leaders and even haranguing them to spare the lives of minor offenders who were destined for a rather grisly fate. I find it quite difficult to get that picture out of my mind. Footnote: If you have the opportunity to read ‘Travels in West Africa’ by Mary Kingsley, I think you might find it very entertaining. The RSGS offers a lively programme of talks at venues throughout Scotland – check out their lecture programme for 2017-18. I’m honoured to be giving a couple of talks myself, so please wish me luck and I hope you’ll excuse me if I don’t bring shrunken heads! Some of them were definitely eccentrics, David, gloriously colourful ones! We owe them a huge debt of gratitude. Maybe that era won’t return but there are still many inspirational people out there, following their heart as the definition of exploration continues to evolve. What a wonderful selection of interesting characters. These days they’d no doubt have lots of Twitter followers and be plagued by the media, something most of them would probably hate. How exciting that you’re giving talks. I don’t see times on that link, are they evening or daytime events? Glad you enjoyed them, Lorna! Yes, they certainly would be plagued by the media – I can only imagine the fuss! I think Sir Francis Younghusband might have liked it. Mary Kingsley certainly wouldn’t! In the notes I have, the talks in Kirkcaldy, Glasgow, Inverness, Perth & Stirling are at 7.30 pm and in Edinburgh at 2.15. Might I see you at one of them? Thanks for the information, Jo. Perth would be handy for me but I’d prefer an afternoon one, so perhaps Edinburgh. Do you know what you’re going to say yet? From the sounds of things it’ll be difficult to choose which explorers to mention and which to leave out, there are so many incredible stories. That would be nice! No, I haven’t put my talk together yet! 🙂 It will certainly be difficult to choose which explorers to talk about, as they are all amazing in their own way. I will definitely weave in the stories and items in RSGS archives that particularly excited me, the things that made me feel just that bit closer to the explorers themselves.